(Newser) – The nation's spy chief took the unusual step yesterday of issuing a statement to defend the shifting US position on the Libya consulate attack, reports the Washington Post. Yes, said national intelligence director James Clapper, the assault initially seemed to be a spontaneous response to that anti-Islam movie, but we “revised our initial assessments to reflect new information indicating that it was a deliberate and organized terrorist attack carried out by extremists. Some of those involved were linked to groups affiliated with, or sympathetic to al-Qaeda." The New York Times thinks it's an attempt to take pressure off the White House as Republicans zero in on a potential miscue on national security—if it was a planned attack, why didn't we know about it?—and foreign policy. The Wall Street Journal notes that Mitt Romney kept up the pressure yesterday on the campaign trail: "There was a great deal of confusion about that from the very beginning on the part of the administration, and whether that was something that they were trying to paper over or whether it was just confusion given the uncertain intelligence reports—time will tell." Frequent White House critic Peter King called for the resignation of Susan Rice, the US ambassador to the UN, who stated repeatedly in the days after the attack that it was spontaneous. "Somebody has to pay the price for this," the GOP congressman told CNN. 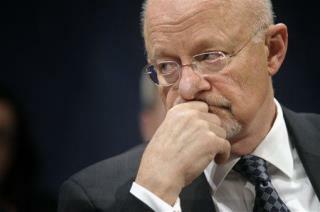 hey clapper go to crapper and dont come out! boy did you get took. movie made by muslims as a cover for their usual crap! our gov in action! LIES X99999999999999 EACH AND EVERY DAY!